If you have any interest in surreal (and beautiful!) 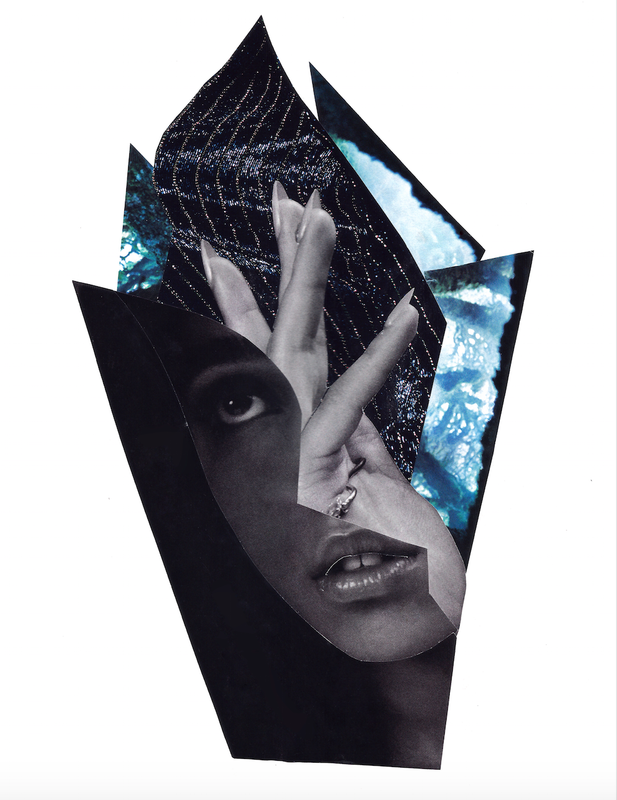 artwork, meet Faith Chonko and her collage art. Using Mod Podge and magazine cut-outs, Faith's pieces are glimpses into her creative process and vision. You can view more of her work on her website and read our Q&A with the Austin-based artist below. Q: What inspired you to start working in the arts? Did you have any role models or learn from someone, in particular? A: I went through a lot of Mod Podge in college covering boxes and things, but it wasn’t until I moved to New York in 2010 that I started putting them on paper and getting something out of it. A friend of mine there kept these incredible journals full of written entries and collages, so she was a big influence on me at the beginning. After that, I kept making work on my own and started feeling like I needed to collage to deal with things in my life. A: I guess I would say to respect your own process and not measure yourself against others. I’m a slow creator in that I don’t collage all the time. It used to frustrate me and still does sometimes, but I’ve come to realize it’s not a fault. In the times I feel creative but am not inspired to collage, I try out other mediums, go to art shows, or spend too much time getting lost/inspired on Instagram. A: I can’t think of a specific moment, but at some point it dawned on me that I had developed a style. That was kind of a cool realization to stumble into. A: The hardest thing for me was and is sharing my work with others. I think there’s so much of my life and emotions in them that showing other people puts me way out of my comfort zone even if those feelings aren’t obvious in the images. Last year, I decided to do things that scare me and putting my work out into the world was definitely on that list. Right next to making a website. But, I’m glad I did both. A: I work at a start-up called Tugg, where I help set up national and international film campaigns through crowd-sourced screenings. A: I run to Half Price Books to buy more magazines. Your favorite band at the moment: Not a band, but I listen to Chillville every Sunday morning and always discover someone new that I like. Your favorite book at the moment: I just started Women Who Run with Wolves. The introduction is the most promising I’ve read this year! I’ll have to get back to you on the rest. Your local Austin gem: I really love the Walnut Creek bike trail. Your social media handles: Find Faith on Instagram.